Knowing that five minutes of your time is more valuable than five days of mine, I'll be brief and to the point. First, thank you. Thank you for being a model of doctrinal, pastoral, and personal integrity. It means a great deal to me that I can know for certain that if you are given any opportunity anywhere, you will always and only use it as an opening to speak the Word and Gospel of the Lord. That is huge, and I applaud you for that, without reservation. You have set an example of emphatically Biblical preaching and writing to an entire generation. In that vein, you have just concluded preaching through the entire New Testament. God be praised, and thank you. Plus, you have blessed me by showing me great personal kindness by (A) even looking at, much less (B) endorsing my literary firstborn. I shall never forget that kindness, as long as I can rub two neurons together and raise a spark. Now that you have preached through the NT, your church (and we onlookers) are eager to learn where you'll launch next. Would you consider a suggestion from a face in the crowd? Preach Proverbs. All of it. I see you as a man of Caleb's spirit, though not yet of his years. (You already know where I'm going with this.) When in his mid-eighties, Caleb did not seek a retirement villa. He wanted to take the hill country. I am certain that you are of the same mind: you will aim for the hill country. Well, sir, that's Proverbs. 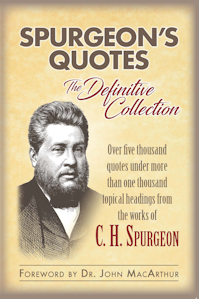 I don't know offhand of anyone who has preached through the book in its entirety. I think you could serve the church well by taking your literal, Christ-centered hermeneutic, and showing how the rubber meets the road in preaching Proverbs. It's ripe, it's unplowed field, and it's waiting for someone of your caliber. Lady Wisdom still cries in the streets for hearers and for an effective spokesman (Prov. 1:20-33). Might that person be you? Sure, there are a hundred other profitable lines for you to take, and you know infinitely better than I which would be best for you and your church. I don't presume to judge or prescribe. But it seems to me that you could serve God and the church, and take a bracing challenge, by picking that course. Whatever you do, I join thousands in praying for God's hand on your thinking, and look forward to the results. PS — hope you enjoyed my dear wife's peanut brittle. PPS — commenter JD made the excellent point that a dose of Proverbs from you would be an excellent prescription for the YRRs for whose immaturity you have expressed concern. Wish I'd thought of that myself, but there it is. Didn't have a hobbyhorse graphic? What a pastor John has been. One of my first our Savior had me listening to. Until they kicked him off of WRBS 95.1 for some stupid reason. We have such a shallow and politically correct Christian radio station here in Balto. Nice leter to read. Very uplifting. And I too would love to listen to Pastor John teach through Proverbs. Don, thanks for noticing the content of the post. Everyone else, thanks for helping me with that whole sanctification-thingie. God knows I need all the help I can get. Dang, JD, that's an excellent point, seriously. Should have put it in in the letter. I understand he plans, at least for awhile after he gets back from a bit of R&R, to preach a series on how the OT points to Christ. He is taking the theme from Luke 24. But, he has Sunday night, too. Proverbs would be an excellent choice for a study. All right JD, you're name's deservedly up in lights now. Tell your mom. And thanks. John MacArthur definitely tilted my world with his expository preaching, and I agree that Proverbs would be a great choice. I'm so thankful that God made him a pastor instead of a restless & reformed life coach. I'd sure enjoy some peanut brittle! Endorse my next book, and the best peanut brittle in the world just may be in your future. Dan, thanks for gently nudging Rev. MacArthur in this direction. 2. I carry the shame of not being Frank everywhere I go. Thanks for rubbing it in. I work for delicious food! Though you might someone who is a little more famous for endorsement. I would love to hear pastor John preach though proverbs. To hear a man who has devoted 40 years of his life to understanding and preaching the word of God exposit Proverbs would be amazing. A pre-endorsement of Dan's next book. "The conspectus of patristic exposition that :book name here: offers has been badly needed for several centuries. 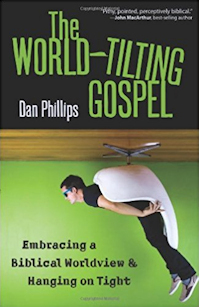 The whole of Christendom should take notice and unite to thank Dan Phillips for undertaking to fill the gap. For the ongoing ecumenical conversation, and the accurate application of early Christian thought, and the current hermeneutical debate as well, the :textual summary here: will prove itself to be a really indispensable resource." Jamie: Wow. Not only sight-unseen, and book-unwritten, but concept-unconceived! I guess it must be an emerging work. It'd be wonderful to hear Macarthur preach through Proverbs and work in Ecclesiastes right behind it (or maybe in his Sunday night series). I'm very grateful to God for working through the ministry of John MacArthur to bring me to a better understanding of Scripture. A most excellent letter to a most deserving man of God. I'm currently reading Ian Murray's bio on JM (an excellent work, btw), and each suceeding fact about this humble servant's life is just more mind-blowing than the one before it--just such a stark contrast to the staus-quo among evangelicals, so-called, today. So much of it is also sad to read, frankly, as it just makes it so clear that we have in JM a man who is on the short list of rare men throughout the history of the church who stand out as bright pillars in the darkness. There is hardly such a great oak left in the forest, and it would be one thing if so many others from JM's generation were merely called home and he was left, but its quite another to think of how many of those men who once stood with him for the truth have since abandoned truth for heresy and/or apostasy. I am so grateful to God that He led my family and me to GCC just over four years ago, which is an hour away from our home, after first allowing us to sit in the mire of 3 horrible, downgrade, postmodern local churches for 4 years prior to our move. However, I sometimes catch myself feeling envious of my brothers and sisters at GCC who have been there with pastor John through the decades and wish I had not had to waste so many years under weak, or downright false, teachers. I'm very concerned about the tone of this letter, recklessly casting about entreaties that a man should teach Proverbs, and idly offending people who don't like peanut brittle. Oh, the gall! Did you call Dr. MacArthur first and suggest discussing this over a cup of coffee, before you scrawled off this irresponsible letter? Hm. I was insensitive to the goober-averse, wasn't I? DJP: I think Lance Quinn has preached through the whole book of Proverbs. Given that one of the worst sermons I've ever heard on Proverbs was at GCC (not John, just to be clear),it would be great to hear John do this. For many reasons. 1. Yes, a lot of ministers pick and choose parts of Proverbs to preach from. I could be mistaken, but I believe Rev. Adam Kaloostian (United Reformed Church in Ontario, CA) preached through the book in it's entirety. 2. Could you send some of your wife's Peanut Brittle my way? Does she also do Cashew brittle or Almond & Pecan Brittle? Read WTG on vacation and it was time well spent. I'm looking for a new book for my large men's group and that may be it. But I am also waiting to read your book on Proverbs before I make my decision. It would be great for all of us if MacArthur dove deeply into Proverbs! Yet I expect that your book will provide some real meat to chew on. Steve, thanks so much for your kind words about WTG. So one of my books is warring against another of my books? Kind of a cool problem to have. In case it will help, I plan a post within the next week that displays the Table of Contents and more info about what is in that book. Thanks again; may your tribe increase. Man- I would pay money to hear Dr. MacArthur preach through Proverbs. I have very much appreciated Charles Bridges' commentary on Proverbs (if there was only a contemporary writer who would take it on! arg!) but MacArthur preaching Proverbs would be sheer awesomeness. I have been reading a chapter in Proverbs a day to my kids for probably close to 6 years now. We have almost finished memorizing Chapter 3 together. I have also benefited greatly from Dr. Macarthur's preaching. 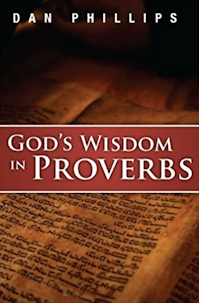 He definitely quotes and refers to Proverbs a good deal, and it certainly is no light-weight book. I think his verse-by-verse method would be an excellent start to his Old Testament preaching. But that does require him to dust off his Hebrew, doesn't it? He gets my vote of confidence! Wellnow, one would hope he hasn't allowed it to get dusty in the first place. Good post, Phil, sorry I mean Frank. I recently realized that I have had the blessed privilege of sitting under Pastor John's teaching at GCC for 40 years now. And Proverbs being one of my favorite OT books (1 chapter for each day of the month!) I would love to hear John exposit that book. May God grant him the "wisdom" to choose his next biblical passage from which to teach us! By the way, you said you couldn't recall anyone that preached through the whole book of Proverbs? I think John Gill did preach through Proverbs, right Dan? He preached through the whole Bible didn't he? Great post. John Macarthurs sermons and published works have been a tremendous encouragement to me and my family over the years, in-fact his one book on charismatic practice was very helpful when I left the prosperity church I was involved in. Sorry I know that last bits off topic?. You said you don't know offhand of anyone who has preached through Proverbs in its entirety. Lance Quinn (who now works for MacArthur) did it. You can hear the sermons here. 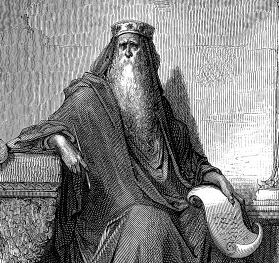 I would have to say that Proverbs would be far-reaching in the life of the church, both GCC and others. I believe the Wisdom Literature of the OT is what Paul referred to in 2 Timothy 3:15 that gives wisdom that leads one to faith in Christ, since the fear of God is the beginning of wisdom and the beginnig of the gospel. The foundation of the Law would have to be laid first, but what a deposit to the modern, "we don't need the OT", church. To handle Proverbs in the depth and seriousness is demands would be appropriate and few would be able to do that better than Pastor John. Hopefully, this will be considered. If I were to have any say, I'd suggest he would preach through John again. @Elaine, That has been mentioned, by John, even, since it's been so long since his first study of that wonderful Gospel. May the Lord guide him toward the book that would best edify and encourage the saints! Ever since the Pastor Prurient "preached" Song of Songs, and MacArthur responded to it, I've wanted to hear him preach that book. Sounds like a done deal from this. How can he NOT preach Proverbs after you put him on the spot like this. My mom used to say, "Don't ask me to go do something with a friend while your friend is standing there." Yes, I'm sure it's been difficult for him to think of anything else since post date. Help me out, what does YYR stand for? Thanks. 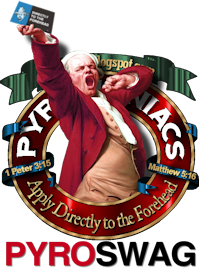 Probably misspelled YRR: Young, Restless, and Reformed.